Some of us have warm childhood memories of our moms making those colorful Jell-O dishes. It’s nostalgic and sentimental. My Mom would occasionally make red Jell-O with canned fruit cocktail. I didn’t care much for those gross green slimy grapes in that fruit cocktail. It’s not one of those comfort foods from the past that I want to experience again. 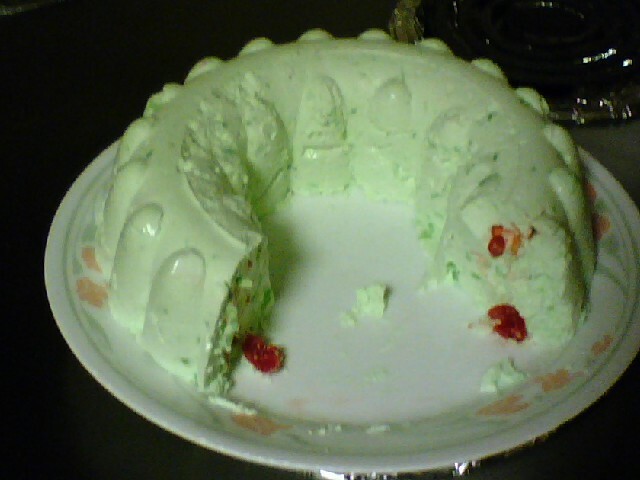 Mom whipped up another Jell-O dessert, some sort of lime green concoction with nuts, pineapple and cottage cheese. The relatives went crazy over it, but I found it repulsive. 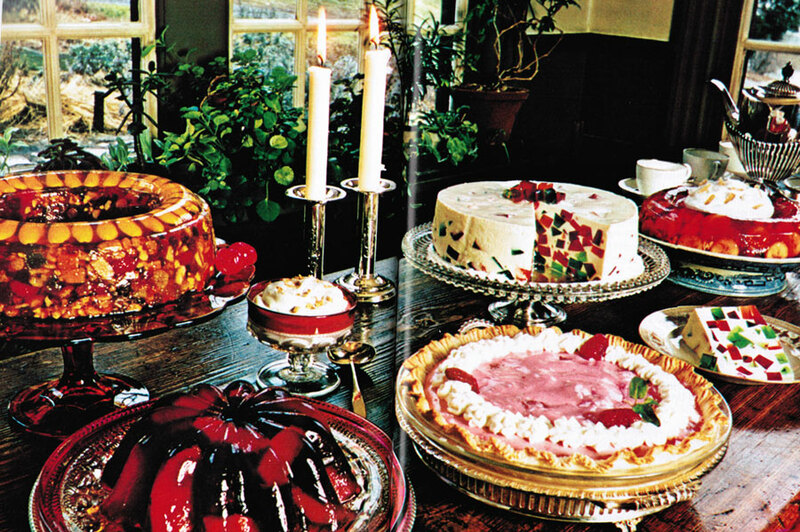 After my mom died, I inherited her copy of The New Joys of Jell-O cookbook. Thank goodness for me that she didn’t attempt to make those other scary looking molds and desserts found in that cookbook. I’m not a big fan of Jell-O, as you can tell. The texture is just plain weird or maybe it’s an association with being sick, hospitals, those church basement ladies or potlucks. I don’t have a phobia of it but it’s more of a dislike. It’s kind of how I feel about mimes and clowns. I avoid them at all cost. 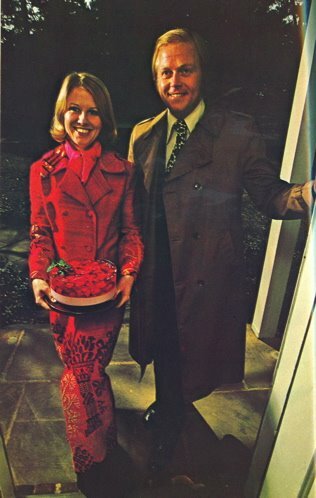 But I do have some respect for Jell-O: it was a godsend for Mom in the 1970s so she could feed our family on a limited food budget. This is the time of the year for family gatherings. I’m sure that some version of a Jell-O creation will find its way onto the table for you to enjoy. 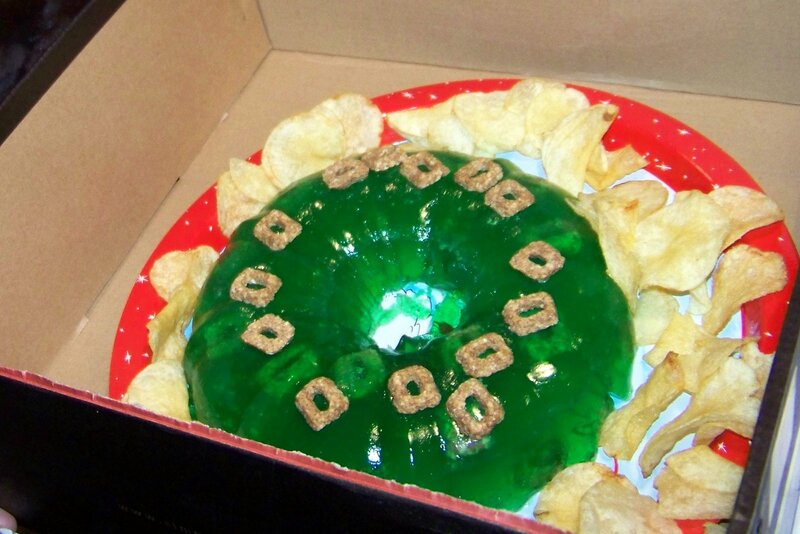 Hopefully it won’t be like Aunt Bethany’s green Jell-O mold with cat food on the top. Krista Dahlinger, a multi-interest gal and Kansas Native Plant Society person, made a jello salad in a fish mold that had banana pieces for scales and a green olive for the eye, etc. She claims it was made to entertain the kids at family Christmas (or Thanksgiving) but really she just wanted to take on the challenge. I think she chose to decorate with all edible items! Pondering the mystery of your Aunt’s cat food addition, I suspect she thought those shapes were pretty….The most surpising jello recipe I have found (in a fundraiser cookbook) was one for chicken noodle soup jello. All I can think of in defense of that cook is that it may have been a cool salty-sweet treat in the summer, somewhat like Gatorade, and a solution in home economics with what was on hand.